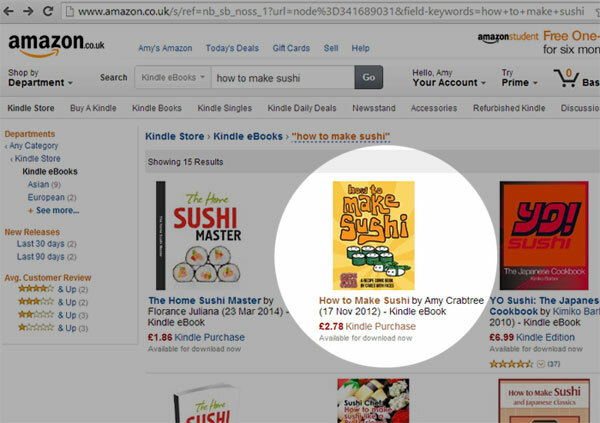 Sushi Recipe Comic Book Published on Amazon Kindle! 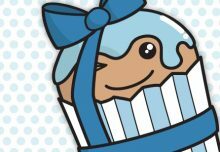 Cakes With Faces > For Sale > Sushi Recipe Comic Book Published on Amazon Kindle! 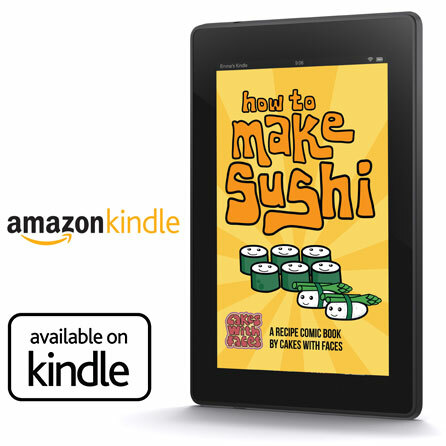 Exciting news: Our How to Make Sushi comic recipe book has been published today on Amazon Kindle as an ebook! You can download the comic book from the Kindle store, to read on your Kindle e-reader, Kindle Fire tablet, or any other tablet or PC when you download the free Kindle app. It’s exactly the same as the original printed version, with all the content included. Learn how to make hosomaki, futomaki and nigiri, as well as edamame and gyoza to complete your sushi meal! If you don’t fancy eating raw fish, all the recipes can be made with vegetables (I’m a vegetarian myself!). You’ll save a ton of money compared to eating at an expensive sushi restaurant. You can make it exactly how you want it. Fresh sushi tastes so much better than dry supermarket sushi that’s been sitting in a plastic box for ages. 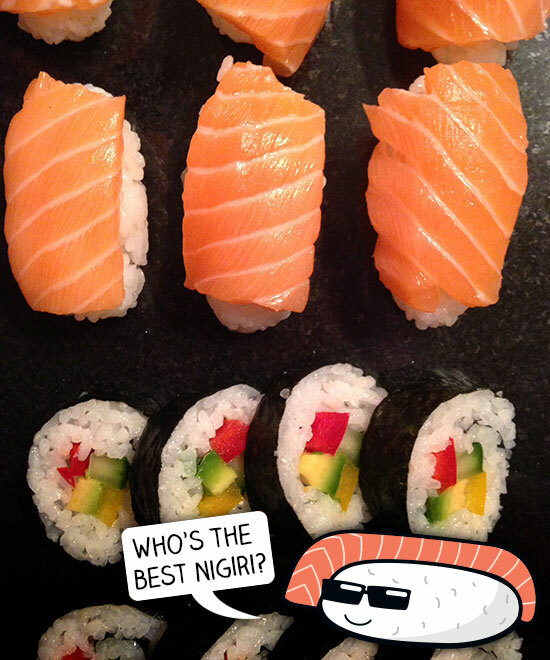 You can feel proud that you’ve made such perfect sushi rolls – then post photos on Instagram to show off. Sushi is healthy (it’s never touched a frying pan). Experiment with whatever fillings you like – beetroot roll is surprisingly good! It’s fun! Have a sushi-making party and pass the sushi love on to your friends. The ebook also works perfectly with the Kindle app, which is available free for tablets and also for PC. You can still get the printed version of the comic book as a gift set from the online shop (we ship worldwide), which comes with a quality bamboo sushi rolling mat and two pairs of reusable Japanese chopsticks. But if you’re having a sushi emergency and don’t want to wait for the post, you can download the ebook version instantly from Amazon. 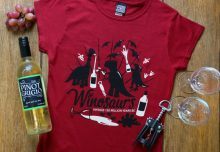 (Rolling mat and chopsticks not included in the digital version!). 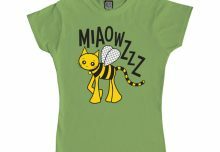 New Bumble Bee Cat T-Shirt! 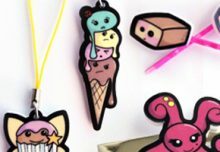 David & Goliath Closes UK Stores – Is Cute Not Popular Any More?